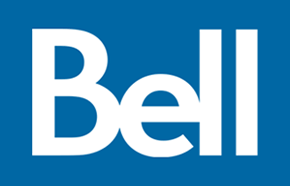 One of Canada’s oldest telecommunication service, offering home and phone service, wireless Internet, satellite television service with service you can trust and with bundles that are just right for you. Introducing FIBETv for the home in the past year, the reliable fibre optic option to satellite and cable. Call your local representative to find the plan that’s tailored exactly to your needs. Samsung Galaxy Note 3 is $199.95 on a 2 year contract. Samsung Galaxy S4 mini is $49.95 on a 2 year contract. 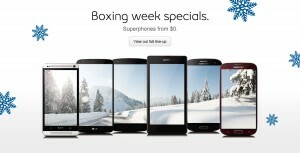 Bell Canada truly shines above the rest with these three incredible holiday offers: $100 off smart phones, unlimited talk and text, and $35 activation credit. When purchasing contracts for phones like the Sony Xperia T, Motorola Atrix HD LTE, and Samsung Galaxy S 2, you will receive a $100 store credit towards the purchase of mobile accessories. To maximize the value of this promotion, pair an Unlimited Talk & Text plan with either the Voice & Data 65, 75, or 95. If you sign up before December 31st you will get a $35 activation free credit. Start the New Year off with a new phone and contract that will be sure to keep you satisfied for years.